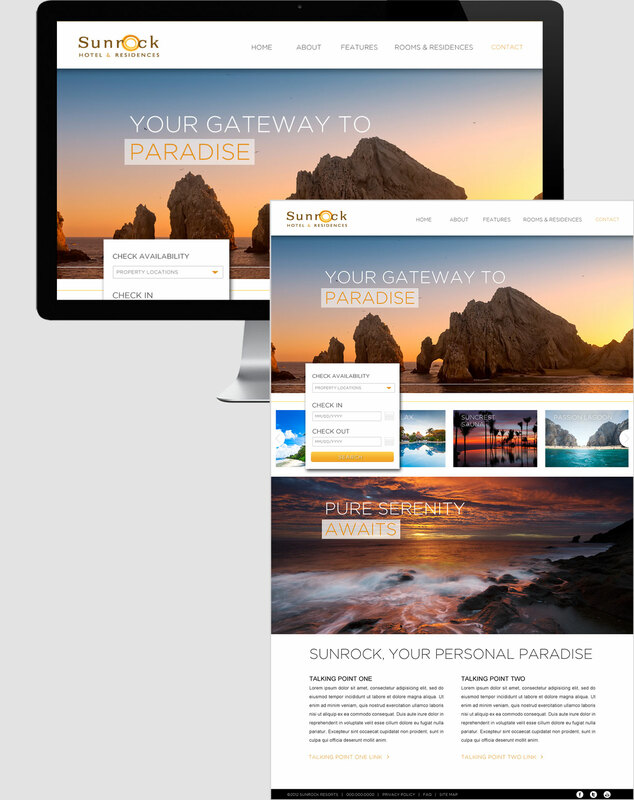 Sunrock Hotel and Residences is a newly opened resort in sunny Cabo San Lucas. Originally the hotel was a run down facility in the most optimal of locations. 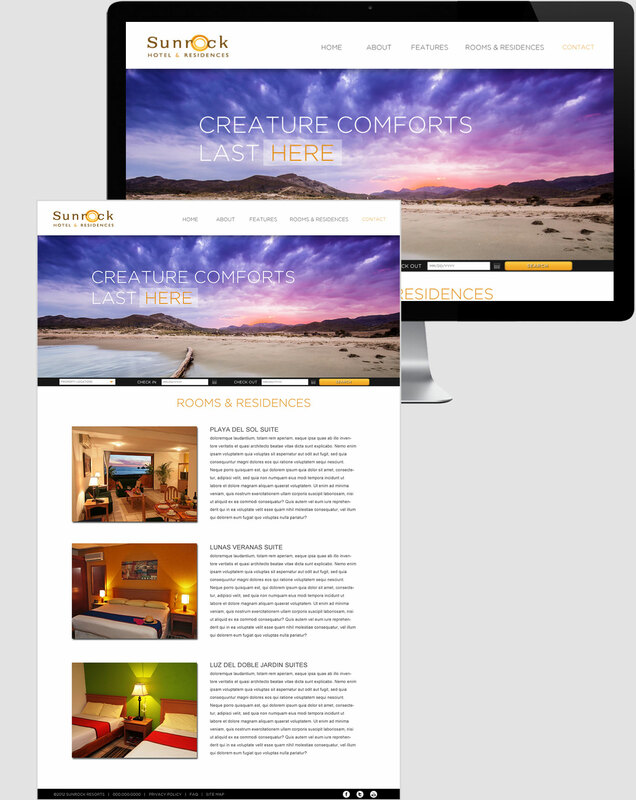 The client wanted a fresh new website to bring people back to the location once it was fully renovated. 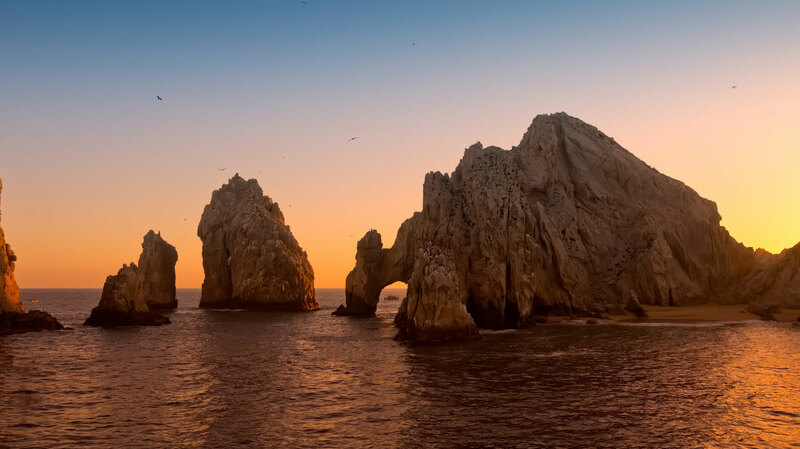 We were fortunate enough to have a decent supply of photography to work with of both a few fully renovated rooms and of the beautiful beaches in Cabo. 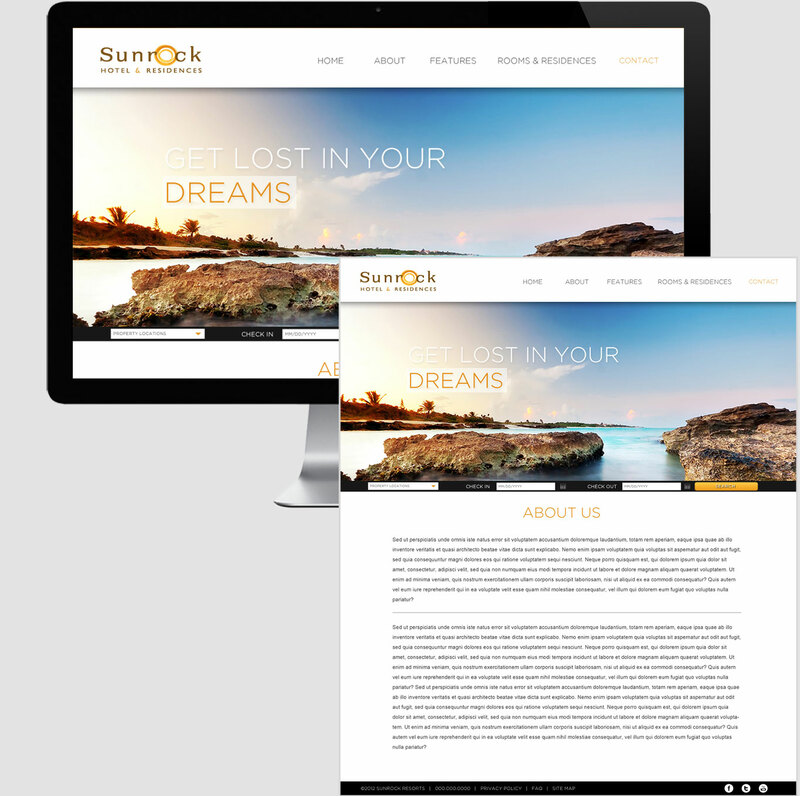 The site solution incorporated the most beautiful and eye-catching photography along with a sectioned and clean type solution. Considering our position and that of the client I opted to focus the majority of the slides and photography on the location to drive hype for what can be experienced there. Initial wireframes were developed to create a clean and efficient aesthetic while consistently pushing the booking UI. This was implemented to increase ease of booking from any page of the website. 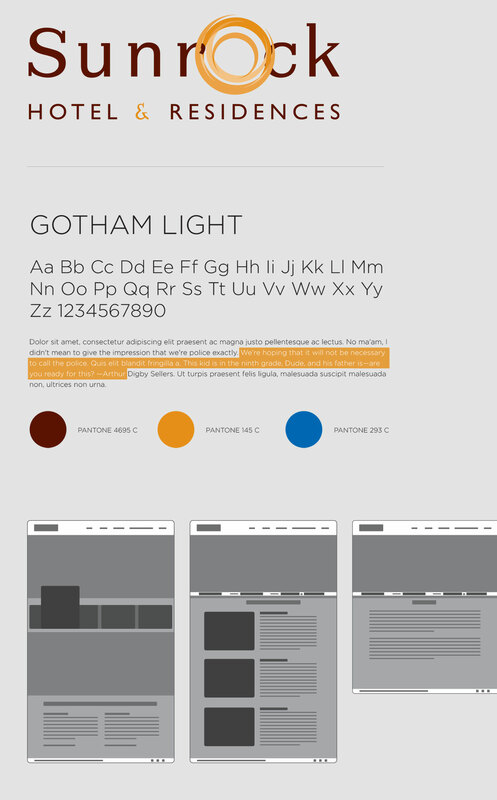 The company had a loose identity so I opted to develop a web style guide which would carry through all online assets.